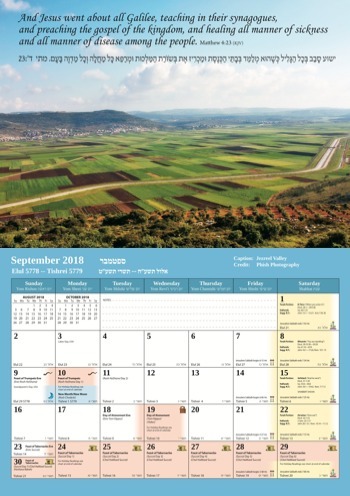 Photo calendar with stunning photos of the glorious Galilee by various photographers. 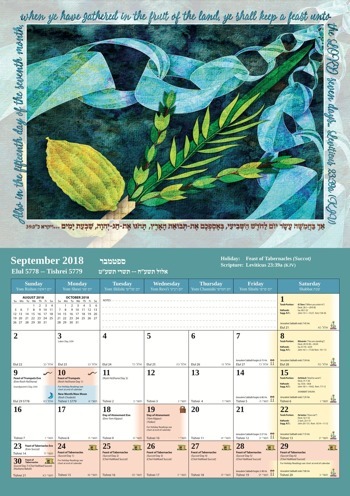 Holiday Art calendar with gorgeous illustrations by Messianic artist Karin Foreman. 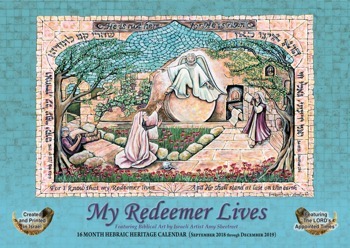 Biblical Art calendar with beautiful mosaic paintings by Israeli artist Amy Sheetreet. Karin Foreman creates fine art and graphic designs. She has studied the art of traditional printmaking. Karin is also an event and award- winning nature and travel photographer. She is often described as being able to capture the essence of the moment and the beauty of G-d's creation. Since 2002, she's been specializing in digital art. Her new passion is photomontage- based digital paintings combining her two passions—photography and fine art. Karin's work has been published in various magazines and has been featured in many exhibitions such as the Louvre in Paris and 4 Times Square in New York. Amy Sheetreet is a Jewish believer in the God of Israel. She lives and works in Israel. Drawing inspiration from Scripture verses, Amy illustrates these designs with watercolors to look like mosaics. As with an archaeologist unearthing treasures and rediscovering Israel’s past, so are these original works of art depicting Israel’s great inheritance: Land, people and God. Outstanding source for God’s feasts, New Moons and festivals. Beautiful art work. Inspirational Scriptures. 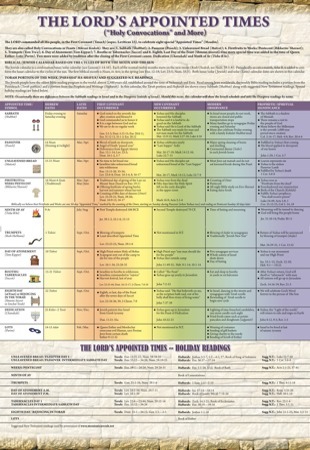 Fantastic Sabbath Scripture resource. 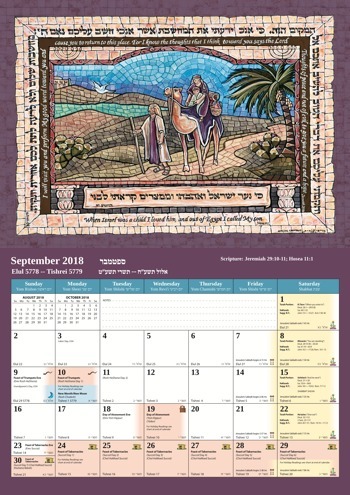 The calendar is made in the promised land of Israel. It is more than I expected. There are lessons, prayers and wonderful pictures inside. There are great details in the date and days inside each page. 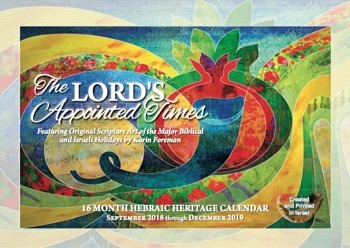 I highly recommend this calendar for the New Year in the Lord. Fast delivery considering the distance. Of all of the Jewish calendars we have bought through the years, this one is by far the BEST! 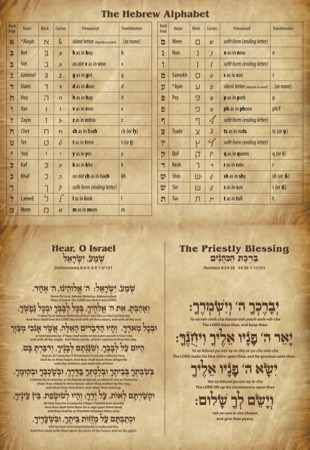 We’d recommend it to ALL interested in having/using a Jewish calendar! 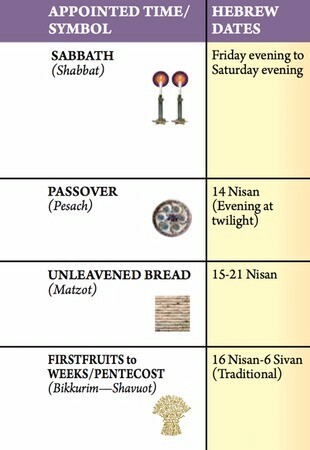 One of the best features for us is the highlighted portions for when events and Feasts begin at sundown. 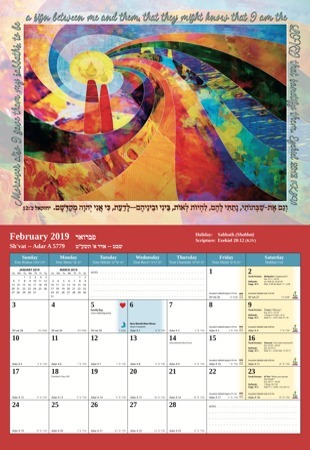 Whereas on other Jewish calendars there are just words that say the holiday is on the full day, this calendar highlights the start of the holiday at the edge of the “sundown” day and into the next day, and the highlight ends leaving a portion of the “full” day empty. It brings out that the holiday goes from sundown to sundown. Everyone I’ve shown this calendar to wants to know where we bought it! Everyone loves this calendar! PLEASE, keep creating your calendars, yearly!!!!!! This is a beautiful calendar. I like that it is from Israel. I am very pleased with this purchase (I bought 3).